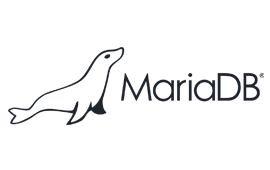 MariaDB is a recognized leader in open-source database solutions for SaaS, cloud, and on-premises applications that require high availability, scalability, and performance, and the best alternative to MySQL. Booking.com, Wikipedia, Fedora and many others have adopted MariaDB due to its open source policies, superior performance and security, and the original MySQL engineering team responsible for developing it. MariaDB is also the “M” in LAMP, having displaced MySQL as the default database in Red Hat, SUSE, and many other Linux distributions, and is included in Pivotal Cloud Foundry, Rackspace, Microsoft Azure, and other leading cloud stacks. MariaDB has over 9 million users in 45 countries, including Electronic Arts, Fusion-IO, Harvard University, HP and Virgin Mobile.